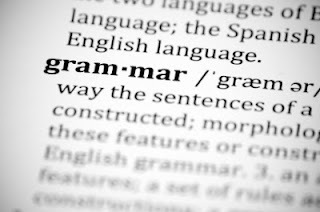 The Twelve Grammar Mistakes that will Convince Me You Are Not Ready for College/A Job. 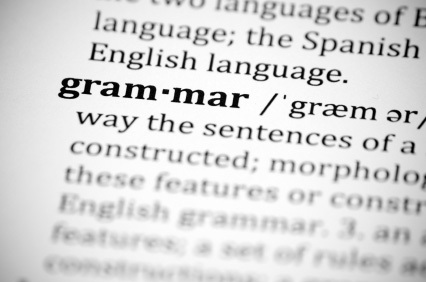 Before I get to them, in the interest of fair play, you can follow the link below to a discussion in the New York Times about whether all students even need to be proficient in grammar. Problem: This is not a word. You think it's a word that's making you sound smart, but you're wrong. Just the opposite. Regardless is always the word you want to use. Problem: If you're using this expression, you have a problem similar to the first one. Using the word I doesn't always ensure grammatical correctness, though you're probably thinking, "But my teacher is always telling me not to say 'Me and my friends went to the movies' or 'Me and my friends had horrid salmon patties from the cafeteria today.'" True. That's because you should be saying "My friends and I saw The Dark Knight Rises" or "My friends and I trashed the art room during lunch break and are now suspended." You and your friends are the agents in those sentences and I, in the nominative pronoun case, shows the one who is completing the action. Between, however, is a preposition and the pronoun after it is the object of the preposition, so it needs an objective case pronoun, one that shows someone is receiving the action, not doing it. If you don't understand any of that, just remember: between you and me. You'll get a point or two more on the SAT for knowing that. Always use anyway. Twirling your hair, batting your eyelashes and saying anyways may get the coolest guy in your class to ask you out, but it's not going to be welcome in the boardrooms of the world. Problem: You mean background, with a g before the r, because background means the back or the ground, so to speak, of the thing it is you're highlighting or putting in the foreground. Problem: Did you ever stop to think about what that means? Because one in the same makes no sense. How about if we change it to one AND the same because that's what the expression is trying to say: that two things are really one and the same. However, a better rule of thumb in writing is not to use trite, or overused, expressions. How about just saying what you want to say in your own, original words? Lose means misplace, be defeated. Lose is not related to loose, so I have no idea why in some of their papers, students are saying Macbeth looses his kingship. No, he doesn't. His "borrowed robes" may be LOOSE, but he LOSES the kingship. Problem: Now this set of words is also frequently misused, but at least I understand this mistake more than the one in #7. Chose is the past tense of choose, but is it really so hard to get that straight? You know the stats of every single player on your fantasy football team and the stats of every single player on everyone else's. Can't you just stick this in your head with all that other information? Problem: I don't want you to feel too bad about this mistake, because just about everyone in the world except the people editing the Oxford English Dictionary are making it. I've seen the mistake on everything from billboards to, recently in Boston, a restaurant sign, so you're in good company. But you're not in the company of good grammarians. Yet. My everyday clothes aren't appropriate for the cocktail party. I check my stocks every day to see how they're doing. The cat licked its fur. It's certain that I'll be taken seriously if I know the difference between its and it's. I forgot where I left my glasses. The grammar mistakes in the essay were many and egregious. There are fewer soda bottles than there are water bottles. There is less soda than there is water. The number of medals Michael Phelps won during the course of his career is incredible. The amount of stamina Phelps has is also not to be believed. Stay tuned for the difference between affect and effect and there and their. I know you've been bothered by those words for years.